A Transparent Business Clipart made in a modern flat design. 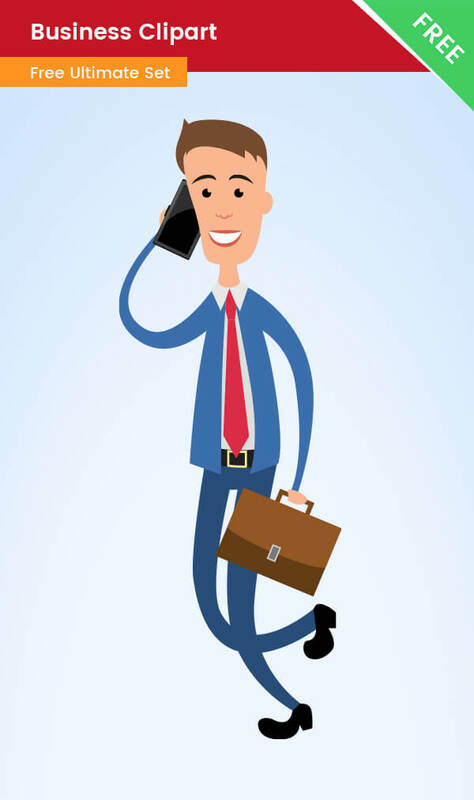 This Businessman with a phone and a suitcase is available for free download. We’ve made this business person only with the usage of vector shapes, so you can easily modify the graphic as you want to fit your ideas. It comes in a transparent PNG, and vector AI and PDF files.